How Slow Internet Kills Your Skills and Tips to Overcome It? This is a guest post by Rahul. If you also want to write a guest post at TricksRoad, Please check this. Hey, friends, How are you doing?I know you are rocking the web with your awesome skills. Actually any idea about the speed of your internet connection? No or yes? Maybe you are scratching your head or else waving it. If you don’t know how much the speed is, then just know it. Is your connection not that speedy? You may have to wait minutes and minutes for a page to get loaded. Then trust me, my friend, you are sacrificing your skills. You should work to reduce blog loading time. I started blogging at least couple of years ago on blogger. My Nokia mobile help me to connect with the web using PC Suite. My phone didn’t support 3G. So I had to wait 3-4 minutes for reading a blog post or loading my blogger visual editor. Always this “snailness” bored me and it killed my skills to a great extent. So as a snail net user in the past, I know the consequences of it very well. Are you facing this problem? Do you also own a snailnet? Are you looking for solutions for this? If your answer is yes then you have a lot to worry. Your skills are on the verge of death. Here is how a slow connection kills your skills ? This is a dreadful truth. You are a blogger, right? Then you must be a writer. We have to be excellent in writing to get more readerships. To be a better writer, it is essential to be an avid reader. There are so many influencers in blogging. They are excellent in writing. To understand their writing style, we do read their blogs, don’t we? So we have to visit their blogs. How can we read them with a slow connection? While I was using phone’s connection in PC, I had always closed the pages which took more time to load. Surely, that is not the blog’s fault, but my connection’s. Nevertheless I hated slowness. Everyone likes swiftness, right? So do you wait minutes after minutes to read a blog post? Certainly not. That’s why I said slow connection kills our reading habit. The main reason that everyone drops a comment is to get a backlinks, Traffic and Exposure . Even a no-follow backlink influences our Alexa ranking. How can you drop a comment when comment forms can’t get loaded? Many of my blogging friends are using Disqus as a commenting platform. It takes more time to load as compared to defaults. So in fact we can’t put a comment on other blogs. Just imagine, you mailed a guest post to another blog (Gmail is easy to load anyway) and it got published. But you can’t reply to those comments under your post. Then everybody thinks you published it there for only the backlink and you are not interested in engagement. This is the harsh reality!! The dreadful truth is that we can’t even reply to comments on our blogs. I have seen some pro-bloggers who don’t reply to comments. If you aren’t pro, then they will consider you as arrogant. As result, you will loss a loyal reader. May be they will unsubscribe to your blog also. Do you want this happen to you?? Who wants?? Just read the entire post to get the solutions. Do you have a habit of researching before you write your blog posts? Anyway I have the habit unless the post is entirely about my experience. We are all not an encyclopedia, right? We have to research at least a bit before completing our posts. Errors are manly. We can rectify it through research. Just imagine you are waiting for a long time only to get one-word information. Will you wait until the page is fully loaded? That’s why I added this point also. Sometimes we have to do a gadget review for our client’s website. How will you create a genuine one without researching? How will you know the pros like RAM, display, processor, etc?? No way!! We will loss that contract for sure. Do you know? It happened to me. Due to my slow connection, I couldn’t visit my oDesk account. Oops! Hence sacrificed a data entry job. This was the huge loss. We all love to earn online. Many of us offering services via our blog. But how will you respond to your clients with a snailnet? As I said earlier, everyone loves quickness. So if you make delay in responding, clients look for other service providers. May be that is a big deal. Loss is huuuuge!! So have an idea about your speed of connection before starting (even thinking) of making money online. This is the most terrific consequence of having a very slow connection. At that time (using a slow connection), I faced difficulties with regular updates of my blog. Every blogging platform has a visual editor, hasn’t it? I am very much familiar with Blogger and WordPress. Both have it. Is any platform there without a visual editor? Then let me know through comments. I couldn’t load visual editor most the times. So updating my blog became summer rain. I had idea, I had the content. But what to do? Where to post? I was stuck always. But don’t worry; all editors are easy to load in majority of connections. The problem was that I had a very slow connection. Again I have to remind you to check your internet speed. Have a clear idea about the speed of your connection. This will help us to take further steps to rectify the problem. There are many sites available which offer internet speed testing for free. Like speedtest.net. Are you sure you purchased a speedy connection? Then the problem may lies in hardware. Just off and on your modem. Then check the speed of other computers using the same connection. They may work well. So the problem is only that computer’s. Are you using Bittorrent or uTorrent? This plays a vital role in browsing speed. May be you are running a download on the background. So in order to pull out the maximum speed, disable all those bandwidth consuming and data consuming softwares during the time of surfing. Many websites have lite or mobile versions, even blogs have. If you have a real snail, then don’t hesitate to visit those. Something is better than nothing, right? Do you know the browsers we use have a significant impact in speed? In mobile, I prefer UC browser, as it is fully optimized for speed. But in PC which browser is efficient? Any idea? Nope!! I did a research on most data efficient browser (i.e., the browser which uses less data for browsing). One of my blogging friend, Rohan Chaubey suggested to try Opera. Yeah, he was right. Also Chrome is good and widely used Opera is data efficient as well as rabbit on board (for PC). So that’s all about it guys. What do you think? Did I bore you? Do you have a slow connection or had one? How did you overcome it? Are these tips helpful? Let me know all your feedback by comments. Sharing is caring, right? So don’t hesitate to share it with your buddies. 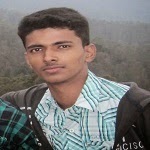 Rahul is a teen from kerala who loves to do something productive. Writing is his passion and he is an avid reader. He is grateful to his parents to make him aware of this beautiful digital world. He started blogging as a hobby and it soon became his passion. He runs a blog where he shares all his experiences. 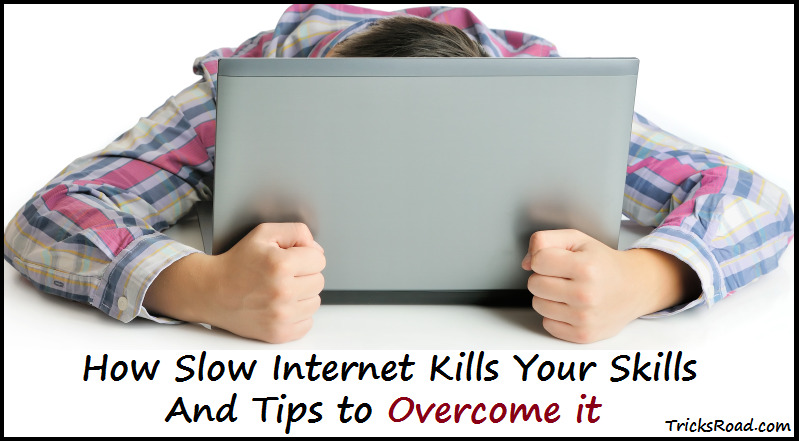 10 comments to ''How Slow Internet Kills Your Skills and Tips to Overcome It?" This was a superb post bro and I agree to you that a slow internet connection kills the skills. While reading this post, i was able to relate the situation you have mentioned from my own condition few years ago. Also the overcome conditions you have given is realistic and superb. Thank you so much for inviting me to write something on your blog. I am using Netsetter or 3G dongle. They limit the speed to too low from 7.2 mbps to less than 40kbps. Can you imagine my irritation? I can’t comment even on my soulmates’ blogs. Visual editor can’t get loaded. This was the inspiration to this post. As it was from my experience I hardly took 1.5 hours to complete this. Thanks again Ashu for the invitation. I must say that I am impressed with this article. There are so many people who are making do with a bad or slow internet connection but if you want to improve on your skills, you definitely have to have a fast internet connection. Before i started blogging, I was using a nokia phone too where the connection was so bad. I had to get a smartphone that will enable enjoy a fast connection so that I can be able to read content on the web. I also had to pick a network that is not just affordable but will provide me with a cool browsing experience. I have not been able to see a perfect network in my country for internet connection but I have been able to improve my skills thanks to a fast internet connection. Thanks for sharing. I allow used my Nokia phone in my PC to get connected. The connection was too slow. That time I was using blogger. I had waited minutes after minutes for getting visual editor. Anyway I think you are using a speedy connection now. Thanks for the eye opener. My internet is slow and I get so annoyed most of the times due to this.Though I have a smart phone, it isn't helping. Since you are a techie chap, can you suggest me an Ipad which is cost effective and easy to use. Glad you liked the post bro. My connection is also slow bro. But thinking of upgrading to broadband. Buddy, as you are looking for a cost efficient iPad, I recommend you to choose iPad mini 16GB variant. In snapdeal it is available for Rs. 14817/-. Yes indeed, our work will suffer, especially if we have our blog, businesses, writing assignments, or any other online work, if our Internet connection is slow. Sometimes the connection becomes so slow that nothing loads, neither the comments (if you are using Discus), nor the posts, if you are trying to write them online. Sometimes you even lose comments that you have written on your own blog, or any other blog, unless you save them. I don't use my mobile for the Internet or blogging, so that doesn't worry me much, but as you mentioned, those who do, would also face issues, unless the speed is good of your Internet. Well, we use BSNL presently, and nowadays you can upgrade to use a better Internet connection by paying a little more, so that's one option too. I usually use Chrome and Firefox, but remember Rohan talk of Opera too, so would be trying that out, as you too recommend it now. I was cheated by my internet service provide – TIKONA. They used to charge me highly and provide us the cheapest kind of service they could. So, then I got to know that we were paying very much and were getting speed like 250kbps and that is really sick. Yes, Opera works best as a mobile phone browser. Its desktop version is not bad as well. Slow connections irritate me and I directly shut down my PC whenever this happens. Talking about phone, Oh God! My PC’s internet connection was once down because of some faults in the Modem and I tried using phone to connect to internet. It was soooo slowwww… And I can understand how slow connections can consume your time and waste your energy. The wise advice is to invest in better connection even tho it might cost you more but in return you will be more productive and more productivity indicates more profit. Nice to see Rahul on Ashu’s blog. I was too a guest author here and I enjoyed my experience and Rahul too will love it! Rahul, you have just impressed me with this article. I wonder that a newbie guy can also write such good post. Keep it up. You rock. The tips you shared are amazing and really helpful. I was also looking out for the exact kind of tips. Sometimes, the slow internet connection is really frustrating for me too. And it takes lot of time to work on smaller things too. I just shared with my network. Hope, this will be helpful for you. Thanks for sharing such good tips. Enjoy your day ahead both of you! Now fast forward to today and I don't think it's so funny when I'm trying to do research and sometimes and it takes forever to load. So I can see your point when you say it kills my skills because a lot of times I stop what I'm doing and go do something else. And I appreciate your sharing it could be the browser that I'm using. That's something else I can add to my tool-box when trying to figure out why its moving slow. But most of the time I'm satisfied with the speed of our internet.